I have more than 30 years experience leading therapy groups, as well as doing individual and couples counseling. 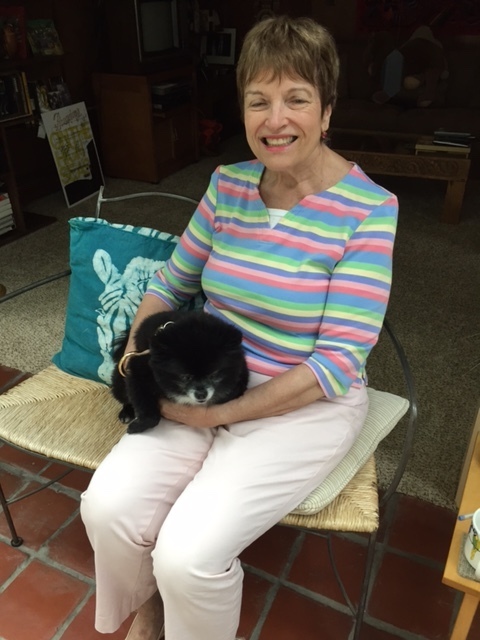 I am a Certified Group Psychotherapist with the American Group Psychotherapy Association, and I also belong to two of its local affiliates, all of which have continuing group process education. Following our initial conversation or referral, you meet with me at least once, to establish a beginning relationship and to ensure that we both believe that the group will be helpful to you. If group therapy is accepted, a six-week commitment is requested. If you remain in the group, you stay as long as mutual benefit is occurring. If you are seeing another therapist, on-going, as-needed collaboration will occur with the other professional, with your full knowledge and participation. Each group is coed, with usually seven adults, approximately ages 35-65, who have an interest in self-growth and in learning "what makes people tick." Members cannot be actively substance abusing. Most members have an individual therapist, sometimes myself, or they have had therapy in the past. Many are working with psychopharmacologists as well. Within my groups, I use an existential, process orientation, working on the here-and-now within the group, which helps members to learn more effective communication; to participate in meaningful relationships; to better manage depression and anxiety; and to work out family issues in a "corrective family" new, functional manner. On-going, long-term general psychotherapy groups, using existential, process-oriented philosophies. These are coed, for all ages, and focus on here-and-now relationships, management of depression and anxiety, effective communication, and re-learning about functional, happier family relationships. Thursday evenings, from 7:00 to 8:30. Call me at 203-329-9121 to learn if there are openings and to set up an evaluation. While these groups will offer support and psychoeducation, they also offer personal therapeutic opportunities, by looking at the situation in terms of your own family background, relationship issues, and their effect on your self-image and personal goals. Reactive and/or pre-existing depression and anxiety management will be included. For referrals, more information, and appointments for evaluations, call me at 203-329-9121. 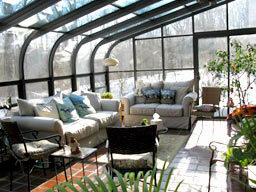 Group therapy often takes place in my solarium, shown here in winter.